St. Mark Seminary opened in 1945 under the leadership and direction of Archbishop John Mark Gannon. Father Richard Fitzgerald was the first rector and he, along with Father James Caldwell and the Sisters of St. Joseph, supervised the young men, aspiring to the priesthood. The original St. Mark’s stood on East Third Street in Erie, and in 1957 there were a total of 93 seminarians living in the crowded building. Archbishop Gannon announced plans, in 1955, for building an entirely new seminary and in the following year he purchased twenty-two acres, a farmer’s field, just outside Erie’s southeast corner. On February 16, 1958 ground was broken and by 1959, the building was completed and the seminarians moved in on November 30, the Feast of St. Andrew. The new seminary was dedicated on June 2, 1960, by Archbishop Gannon, in the presence of the American hierarchy, civic officials and thousands of the faithful from all parts of the Diocese. In the fall of 1964, a new classroom wing was added, along with a large multi-purpose science laboratory and lecture facilities, office space and storage. Seminarians for the Society of the Divine Word entered St. Mark’s when Divine Word Seminary of Girard closed in 1969. 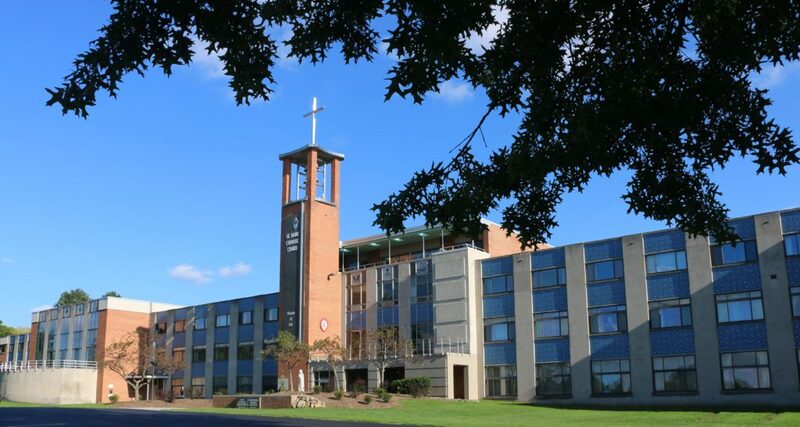 In 1972, the college seminary expanded from two to four years and in that same year, other dioceses began to send their men to attend, including: Greensburg, Pittsburgh, Altoona-Johnstown, Richmond, and Arlington. In 1983, the seminary high school graduated its last class of ten young men, while reaffirming its mission of college-level seminary formation. Around this time, the Diocese moved most of its administrative offices into the space previously occupied by the high school seminary. A large portion of the building, however, was reserved for the college seminary and that continues today. In 2009, the Seminary hosted a solemn celebration of 50 years in the new building. In recent years, the Seminary has welcomed seminarians from the Dioceses of Erie, Altoona-Johnstown, Buffalo, Greensburg, and Scranton. Since 2000, Father Michael T. Kesicki has served as Rector, and Father Nicholas J. Rouch as Vice Rector. The Mission of St. Mark Seminary is to assist men in discerning a call to the Roman Catholic priesthood, and to prepare them, if so called, to studies at a major seminary. St. Mark’s leads a man through human, spiritual, intellectual and pastoral formation. It is sponsored by the Diocese of Erie, but welcomes seminarians of other dioceses when assigned here by their diocesan bishop. 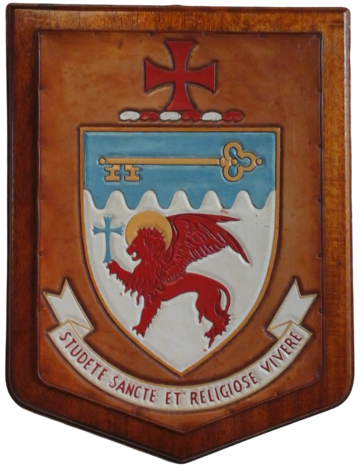 The motto “Studete Sancte Et Religiose Vivere,” may be translated freely “Endeavor to live a holy life devoted to religion.” These words are part of the admonition of the bishop at the end of the ordination ceremony as it was celebrated when the seminary was founded. A motto briefly expresses an ideal, a program of life, and the spirit of one who selects it.